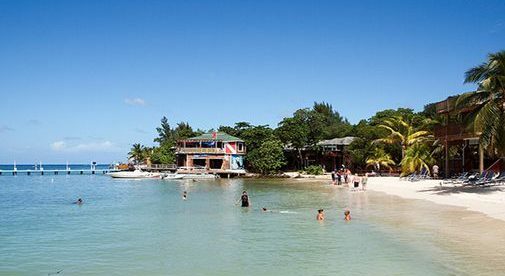 “We started visiting about 20 years ago to dive.” Known for its clear waters and reefs, Roatan is a divers paradise. “Mike and I moved with our son at the end of 2017. Now at college in the U.S., he completed his last year of high school online while living in Roatan,” says Angela. After a year in the more developed West End of the island, the couple moved to the quieter eastern part and bought a house. It’s not just property that comes at bargain prices on Roatan. “We spend a quarter of what we spent in New Jersey,” says Angelica. They also tend their garden, go to the beach, and socialize. “There’s a sizeable expat community here. Yesterday, there was a soft opening for a new brewery so of course we had to go and sample the wares,” Angela jokes. There are several restaurants close by too. Cal’s Temporary Cantina has a live band and offers a mix of island food and American-style food—pork chops, fish, burgers, wings, all with a view of the ocean. (In the local eateries you can have a fresh meal for two with beers for around $10. Angela’s tip if you’re thinking of buying property like her and her husband is to start by looking at existing homes. “You can find fixer-uppers in the $70,000 and $80,000 range. Lots start at around $45,000,” she says.